While cities that lost more than 50% of their population since their peak, known as legacy cities, face many challenges, they have also experienced many design and innovation breakthroughs. 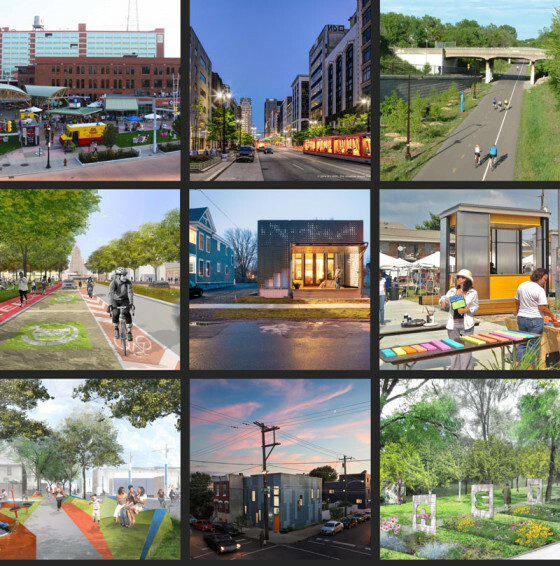 Thankfully, those positive achievements are being documents via the crowd on a new website known as the Legacy City Design Network. The site was created by the J. Max Bond Center on Design for the Just City (JMBC) at The City College of New York School of Architecture. It not only provides extensive case studies on some of the most inspiring placemaking projects in legacy cities, it also “connects professionals working in legacy cities, hosts gatherings, advocates for innovative design, and develops new solutions through research and pilot project collaborations”. It’s goal is to “inspire ideas and creative development for confronting a wide range of physical and socioeconomic challenges”. Of course, it’s best feature is that you can submit your own legacy city innovation case study on the site right here. Syracuse, NY: Movement On Main: Light-Play!